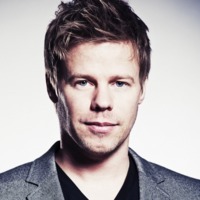 Ferry Corsten, also known under the alias System F, (born 4 December 1973 in Rotterdam, Netherlands) is a Dutch producer of trance music, in addition to being a DJ and remixer. He also hosts his own weekly radio show, Corsten's Countdown. He routinely plays at events all over the world with crowds in excess of tens of thousands. In 2009 Ferry Corsten ranked #7 on DJ Magazine annual Top 100 DJ Poll. In 2010 he dropped down to #9.